DrupalCamp LA 2014 is over. 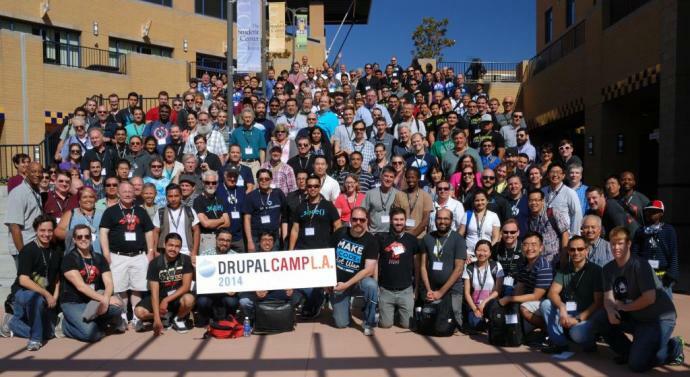 Join us August 29-30, 2015 for DrupalCamp LA 2015. Thanks to all of LA Drupal, Orange County Drupal and our friends in the premier Southern California PHP communities of Los Angeles PHP (LAPHP), Orange County PHP (OCPHP), and San Diego PHP (SDPHP) along with the support and promotional backing of PHP Women, for making DrupalCamp LA 2014 and our first SoCal PHP Mini-Camp super awesome. Join the LA Drupal Meetup group. Follow LA Drupal on Twitter.